Calcium is one of the most important nutrients in the human body.A significant amount of this mineral is needed in your children’s diet if they are to build strong bones and teeth. Calcium is essential for living organisms, in particular in cell physiology, where movement of the calcium ion into and out of the cytoplasm functions as a signal for many cellular processes. Having plenty of calcium in the first ten years of their life will make them less prone to bone fractures. And when they get older, they are less likely to develop osteoporosis. To ensure that your children will grow healthy, here are 6 calcium rich foods, fruits and vegetables you should include in your children’s diet. Eat foods rich in calcium to strengthen bones and prevent Osteoporosis. Almost every cell in the body uses calcium in some way, including the nervous system, muscles, and heart. It is an essential building block for lifelong bone health in both men and women. Broken bones are painful and frustrating because they take a long time to heal. The body naturally heals a broken bone on its own, all that required is certain foods can help speed the healing process. The bone recovery process requires a great deal of blood flow, so if people are eating unhealthy foods and practicing dangerous habits such as smoking and drinking, it can hinder the process and make the movement of blood cells more difficult. 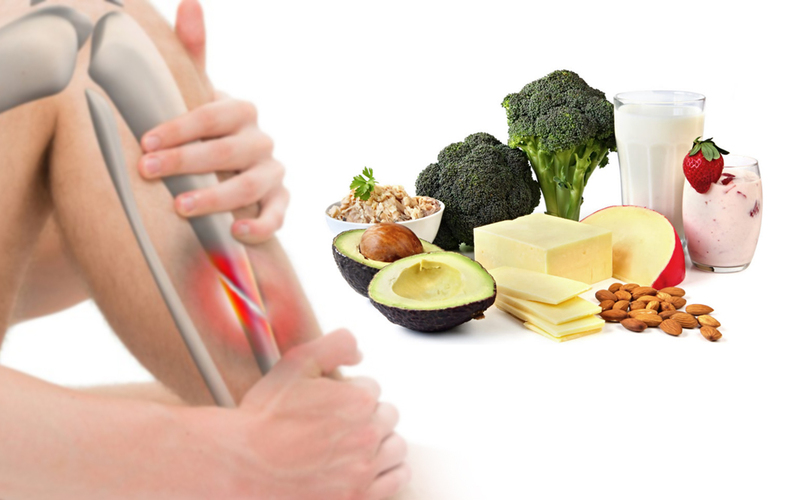 Here, we have listed six top foods to strengthen broken bones and helps to heal them quickly. The best source of calcium-rich foods, there is nothing that beats milk. Milk is a Natural Sources of Calcium for both adults and children and the calcium in it can be easily digested too. Calcium is also important for your children’s blood and muscles. Without this mineral, their muscles would not contract properly and their blood would not clot. It can also be difficult for their body to absorb other minerals and for their nerves to send signals to the brain and vice versa. Kale is an excellent source of calcium or vitamin D, offering 139 mg per 100 g serving. What’s great about the calcium content of this vegetable is that it can be easily absorbed by the body. Kale also contains more than 45 different flavonoids and is rich in antioxidants. A cup of broccoli contains about 136 mg of calcium. It also rich in potassium and iodine, which can help your children stay hale and hearty. With its high mineral content, it isn’t any wonder why spinach is Popeye’s favorite. A 100 gm serving of this green vegetable contains about 145 mg of calcium. In addition, it is also rich in vitamin C (which can help boost your children’s immune system), vitamin A, manganese, and vitamin K.
When it comes to fruits rich in calcium, dried figs may be the best. One cup of dried figs contains a whopping 241 mg of calcium. In fact, each individual piece of fig, on average, contains 13 mg of this vitamin. If you want to boost your children’s calcium intake, you should feed them figs on a regular basis. This tropical fruit offers 34 mg of calcium per 100 gm serving. This means that a single cup of kiwi will give your children 60 mg of calcium. In addition to its health benefits, kiwi tastes good, too.